Book News: Autumnal Bradbury, A Return To Hogwarts, Fate of The Drunken Reader & More! Why Autumn Belongs to . . . Some authors can be attached to a certain season, and fall clearly belongs to the late great Ray Bradbury. With the new season of Sherlock coming soon, the premiere is planned for January 1 with plans to have it show in select theaters. 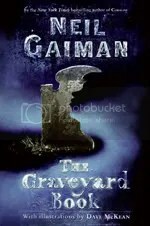 Gaiman is having more of his works adapted to the TV screen, this time short stories to being filming this month. Book News: Books To Make You Queasy, When Neil Met Kazuo, You Don’t Know Ray (Bradbury) & More! Do You Know Ray Bradbury? 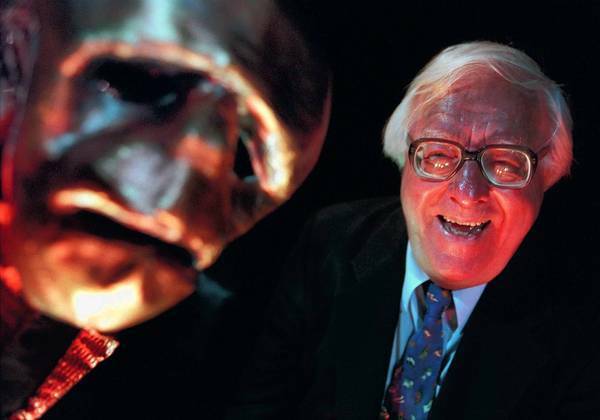 Ten things I bet you didn’t know about Ray Bradbury. These images take your imaginings of folded book art way beyond your limits. The Folio Society has recently produced some truly beautiful and incredible books, so check these out. 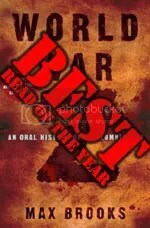 Here are five books you will want to avoid reading on an empty stomach. 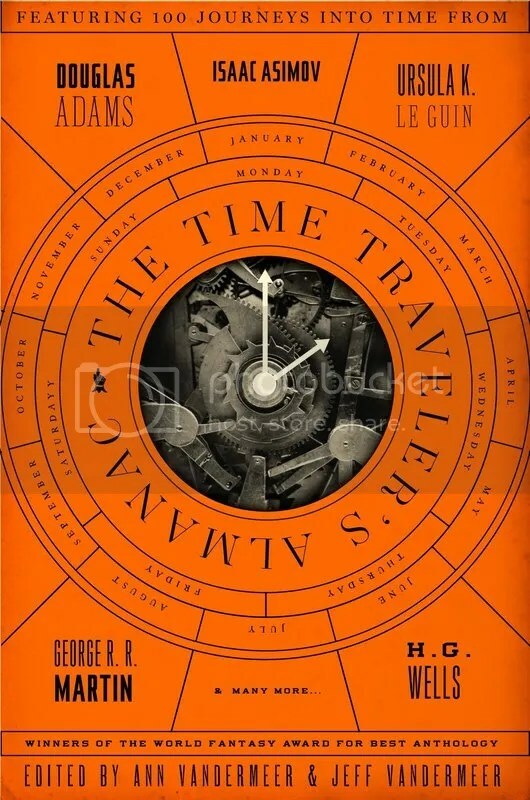 If you’re any sort of fan of time travel, whether it’s Back to the Future, H. G. Wells’ The Time Machine, or even Bill and Ted’s Excellent Adventure; or perhaps you enjoy discussing, debating and at times lambasting the possibility and impossibility of time paradoxes; then you need to get yourself a copy of The Time Traveler’s Almanac. Well-known editors Ann and Jeff VanderMeer do a magnificent job of grouping the many time travel stories together into categories, and breaking them up with nonfiction articles on different aspects of time travel. The greats are of course included in this fantastic anthology, including Ray Bradbury, Isaac Asimov, H. G. Wells, George R. R. Martin and Ursula K. LeGuin. But there is also a plethora of other, lesser known authors all with their own individual and unique stories on time travel. There’s the one about a person who travels through time in New Delhi seeing its many forms and the variety of inhabitants throughout its history. The story about a cheap, wonderful apartment in a fancy area of San Francisco, the catch is you have to live in it in the past. One of the most moving stories is “Red Letter Day” set in a world where you receive a letter from your future self on the day of your graduation about how you should lead your life; and what it means for those who don’t receive a letter. The Time Traveler’s Almanac features 70 stories and has a little bit of everything that can be sampled slowly over time – as I did – or gobbled up as quickly as possible. You’ll be taken to many different worlds, in different times, and no one will be like the other. To purchase a copy of The Time Traveler’s Almanac from Amazon, and help support BookBanter, click HERE. On June 5th, 2012, we lost one of the greatest writers of our time: Ray Bradbury. He lived to the impressive age of 91, and continued to write and do signings and readings well into his eighties. He is perhaps best known for some of the most important science fiction novels of the twentieth century, such as The Martian Chronicles and Fahrenheit 451, which continue to be read not just by fans, but by high school students across the country. One of the early pioneers of science fiction, up there with Isaac Asimov and Robert Heinlein, his short stories are unique and unforgettable. The short story was Bradbury’s true forte, with his incredible ability to encapsulate so much within a limited number of pages. 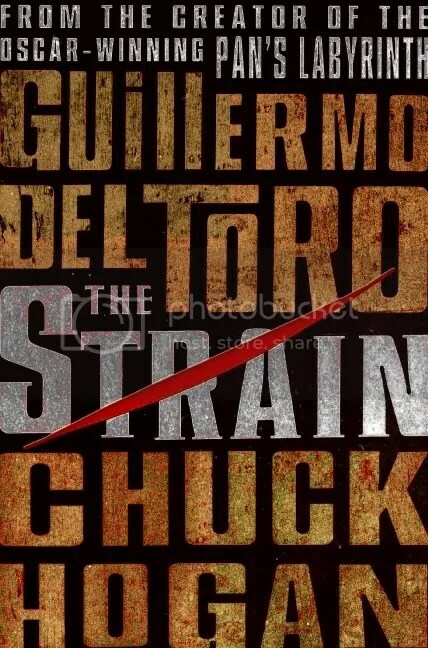 His lyrical prose, compelling characters, and moving plots made him a writer not just to be categorized in the genres of science fiction and fantasy, but to be enjoyed by mainstream readers across the globe. I got to meet Ray Bradbury at a signing and reading in the fall of 1999. It was at California State University Long Beach, where I was currently working through the second semester of my Bachelor’s. Coincidentally, it was also the first date with this new girl I’d met recently; that girl has been with me ever since, and this year we celebrated our eighth wedding anniversary. The reading took place in the university theater and my wife had been asked to control the spotlight, which was a great bit of hands on experience for her lighting class. As we sat there in the booth, watching and listening to the great Ray Bradbury talk, I can remember being torn between showing my interest in this new girl in my life, but also wanting to listen to this incredible writer talk. It was an intimate moment in every sense of the work. At the end of the reading, my wife got her book signed, as well as one for her dad, who had introduced this great author to her at a young age. It was a very special event I shall never forget. With an average reading of a hundred books a year, there are a few rituals I have incorporated into my reading throughout each year. One is the reading of A Christmas Carol during the week before Christmas. 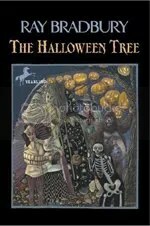 The other is the reading of Ray Bradbury’s The Halloween Tree before Halloween each year. 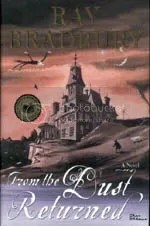 Even though the book was published in 1972, there is a timelessness about it, as Bradbury perfectly encapsulates the exciting feeling of Halloween, no matter what age you are, and then takes you back in time through a history of origins for this celebrated night known throughout the world. It is a magical tale that’s a delight to read every year. The Martian Chronicles is my favorite Bradbury novel, and I can remember reading it for the first time in my science fiction class in early 2000, and found it fascinating that Bradbury was pushing the boundaries in so many ways with this book, not just with science fiction, but also with the development of the science fiction novel. 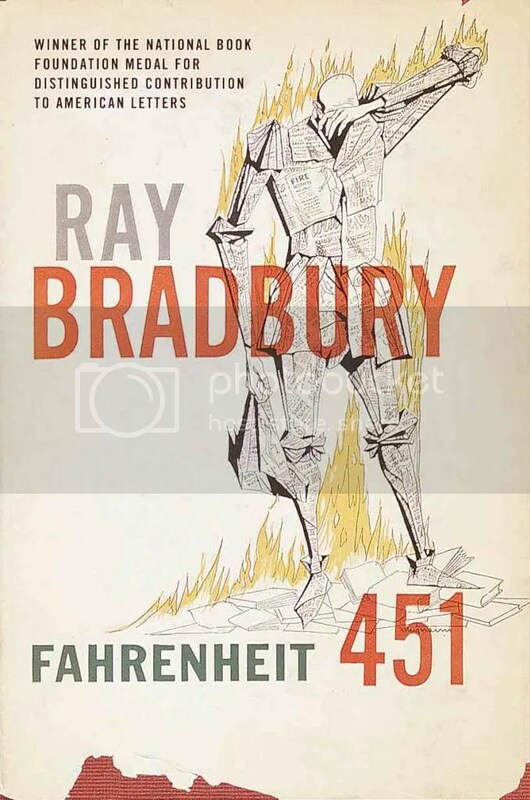 Bradbury, like many of the other science fiction greats, began as a short story writer publishing in the science fiction and fantasy pulp magazines that were so popular at the time. But with the development and growing popularity of the genre novel, he turned to the longer form. The Martian Chronicles was one of those unique books that began as a bunch of published short stories that Bradbury converted into a novel by writing “linking” stories to make the collection feel more like a seamless novel. Ray Bradbury will be missed by many. But then the beauty of the written and published and print word is its ability to last long after the author has left this world. But it is up to us to keep Bradbury’s work alive and read. I know I will continue to tell family and friends and eventually my children about this great author who thrilled, delighted and entertained the world with his incredible stories, and about the one time I even got to meet him. We’re coming up on Halloween once again when everything goes spooky and dark, and we like to get scared by things.. Well, here’s a Halloween story I wrote and a list of recommended reads for kids and adults of books that will really give you some shivers . 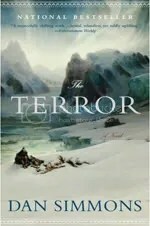 . .
And now some recommended Halloween reads to chill your bones and make your blood freeze . . . The recent passing of Ray Bradbury was a very sad loss for the writing world, as we lost not just one of the foremost science fiction writers of our time, but one of our greatest storytellers and writers period. 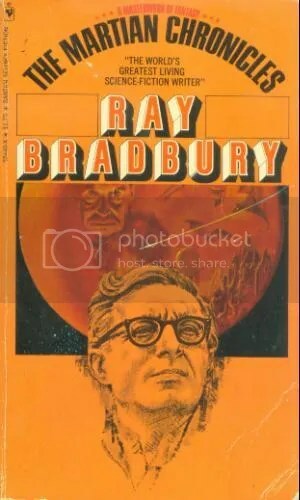 But even with his loss, Ray Bradbury will continue to be read and enjoyed by many fans, as well as be discovered by new readers for the first time. 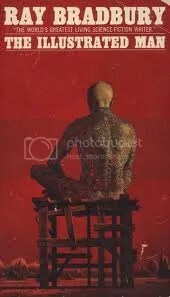 The Illustrated Man is an excellent example for those looking to give Ray Bradbury a try and find out just how good he is. The book is told with the framing story of the illustrated man – a man covered in tattoos that when stared at by others come to life and tell their own stories. Stories of a future high-tech nursery where children play amongst real animals, but when their parents threaten to take this supreme toy away, they have a plan to take care of them once and for all. A story of a future Mars colonized by black people, but now Earth is on the brink of obliteration and the white man needs a new place to live; will the colonists of Mars allow this immigration? There is the moving story of “The Rocket Man” who loves his wife and son ever so much, but continues to feel the yearning pull of space and can never remain on Earth too long. 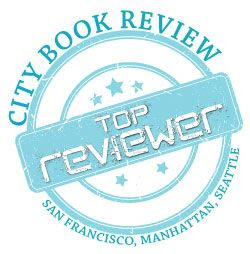 In “The City” some space travelers discover an abandoned city on a planet, but as they search through it, it seems the city is not uninhabited after all. The stories in The Illustrated Man will move you, they’ll make you laugh, they’ll make you cry; they’ll make you terrified and also make you think about the way your world is and about the way it might one day be. This is Bradbury at his best and no fan of the short story – no matter the genre – will want to skip this one. Originally written on July 17, 2012 ©Alex C. Telander. To purchase a copy of The Illustrated Man from Amazon, and help support BookBanter, click HERE.